The years-long legal battle over Seattle's law allowing Uber and Lyft drivers to unionize will continue -- and the law will remain on hold -- after a federal appeals court ruled against the city. Seattle’s first-in-the-nation law that attempts to let Uber and Lyft drivers unionize will remain on hold, more than two years after it was passed, after a federal appeals court ruled that the law is subject to further legal challenges. A three-judge panel of the 9th U.S. Circuit Court of Appeals unanimously ruled that Seattle’s 2015 law can be challenged under federal antitrust law, sending it back to the lower court. The Seattle City Council unanimously passed the law in 2015, hoping to allow drivers to decide whether they want to unionize and then to collectively bargain for things like pay, benefits and better working conditions. Then-Mayor Ed Murray let it become law without his signature, saying he was worried about legal challenges. The law and the legal battle have gained national attention as one of the first government attempts specifically aimed at regulating the “gig economy” and improving conditions for that workforce. 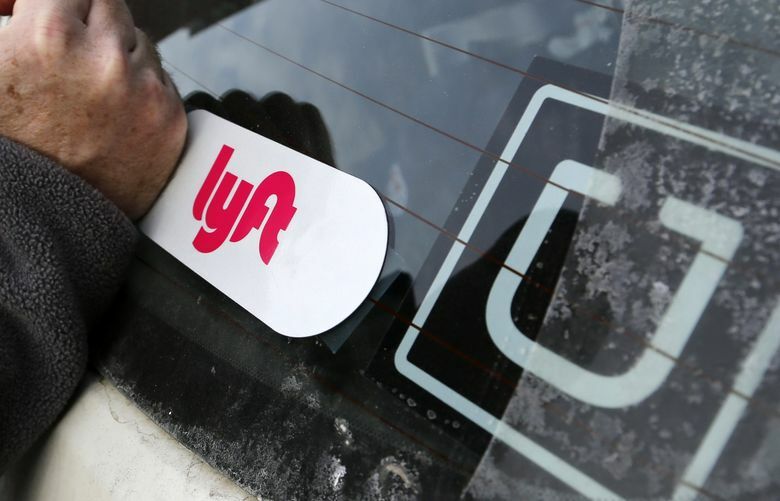 But the U.S. Chamber of Commerce, acting on behalf of Uber, Lyft and other for-hire car services, sued to block the law, arguing that because drivers are contractors, not employees, they cannot unionize. The National Right to Work Legal Defense Foundation and the Freedom Foundation, two conservative groups, filed a separate lawsuit against the Seattle law. Both lawsuits argued that letting drivers unionize would reduce competition and raise prices. Seattle had won last year at the lower court level, when U.S. District Judge Robert Lasnik dismissed the Chamber’s lawsuit, ruling that neither state nor federal law forbade Seattle from letting for-hire drivers unionize. But the 9th Circuit ordered that the law remain on hold while legal challenges proceeded. The federal Sherman Antitrust Act, a 19th century anti-monopoly law, forbids independent actors from colluding to set prices. But the law lets states and cities set their own rules, effectively exempting them from the act, if the state has “clearly articulated and affirmatively expressed” its intention to do so, the panel wrote in its decision. Lasnik ruled last August that Washington law gave permission to Seattle to let the drivers unionize. The three judges on the 9th Circuit disagreed. But the 9th Circuit did agree with Lasnik that federal labor law — the National Labor Relations Act — can cover independent contractors and does not pre-empt the unionization law. Teamsters Local 117 has been preparing a unionization drive among local drivers, if the law goes into effect. With the appeals court deciding that Seattle is not immune from the antitrust law, the case returns to U.S. District Court, where the sides are expected to fight over another point: whether the law is impermissible under the Sherman Act. Even some business actions that might otherwise be barred can be allowed if a court finds that, given the broader context of the actions, they actually promote rather than curb competition.